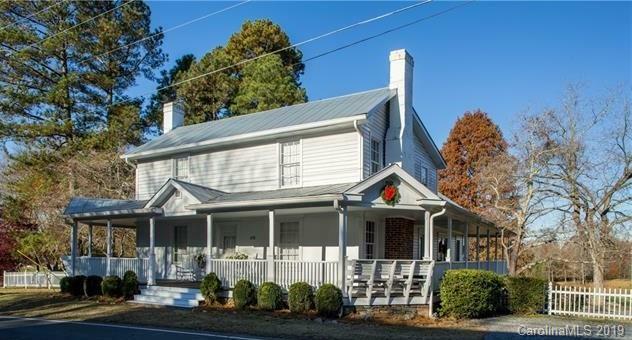 Take a step back into the 19th Century with this beautiful, perfectly preserved Victorian style house with a wrap-around porch located in the historical part of Gold Hill. Long views with a pond, free gravel every year, the original clawfoot tub and parades come right past your front door! This house has been restored from the foundation to the roof and everything in between. Separate A/C units for each floor. New roof installed in 2005 and exterior painted approx. late 2010. Tankless water heater, new septic and water filtration installed in 2011. Pictures will never do this house justice! All antiques and decorations can be sold separately from the house. Visit http://historicgoldhill.com/ for more information about the town.